The security experts at Agnitum, developers of the Outpost Pro security product line, are pleased to announce increased security capabilities in Outpost Security Suite FREE 7.1 (OSS Free) (free.agnitum.com), the second iteration of the first comprehensive security suite to protect Windows users from the full range of cyberthreats at no charge. Outpost Security Suite Free v7.1 includes a second anti-malware engine, this one specifically focused on spyware, adware and Trojan horses. The unique combination of two modules (Antivirus and Antispyware) as an integral part of Agnitum's comprehensive anti-malware brings more targeted security to Windows users. Users of the free edition can also now switch between Automatic (default) and Manual update settings. Automatic updates arrive for Outpost Free when available at Agnitum's update servers, and can be downloaded at any time. The only difference between Outpost Free and Outpost Pro in this instance is that the Pro product is assigned greater bandwidth and operates in Priority Update mode. In addition to the increased security protection, Agnitum has added a German-language interface to support its second largest global audience. Courtesy of Outpost users in Germany, Austria and Switzerland, Outpost Security Suite FREE now offers the same German interface as the PRO version. The new Outpost Security Suite Free 7.1 English-German edition brings ease-of-use and transparency for non-expert users who want to feel protected online without the expense and sometimes steep learning curve of many commercial products. As soon as it's installed, OSS Free provides robust, easy-to-use protection with optimal default settings to address web-borne threats including known and zero-day viruses, spyware, hacker attacks and intrusions, spam, and more. 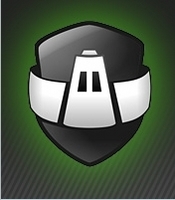 Outpost Security Suite Free builds on the cutting-edge technologies in the commercial version of the suite. While it does not provide the depth of configuration, automation and control offered by the commercial suite, OSS Free provides comprehensive protection against the most prevalent threats in today's online world. The product's acclaimed proactive protection, coupled with efficient detection and disinfection, make OSS Free an appealing option for Windows users everywhere. Outpost Pro solutions have gained international recognition and received many awards around the world. In particular, Outpost has consistently registered top scores in VirusBulletin's VB100 and Matousec.com Proactive Security Challenge, both widely-acknowledged centers of excellence for PC security. The benefits of Agnitum's 10+ years' experience in data protection and Internet security are now available to all users, regardless of their willingness or ability to pay. * Full compatibility with Windows 7, Vista, XP, 2000 - both 32- and 64-bit.